Belle Chanson (listed as Treble Choir 1-4) is an auditioned group just for women’s voices. These ladies sing three and four part harmonies. 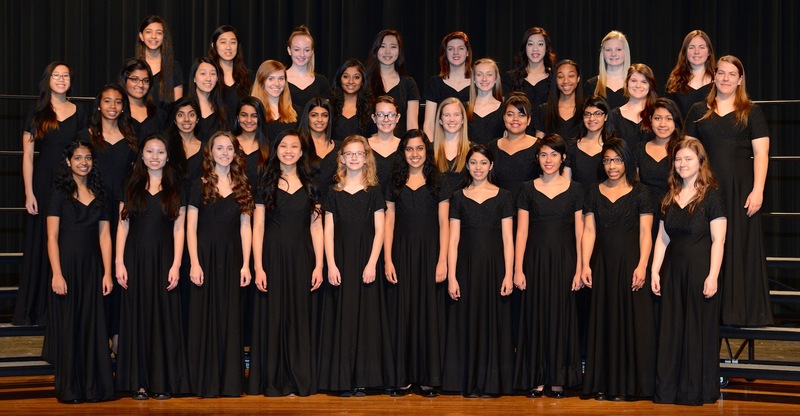 Select Treble members perform in all HHS choir concerts and UIL Concert and Sight-reading Contests, as well as participate in the LISD Solo and Ensemble Contest. Select Treble Ensemble also may be asked to perform at other community and school events during the year. Several Belle Chanson members audition for All-State Choir. Select Treble Ensemble members are graded on class participation, oral tests, and rehearsal and concert attendance. Belle Chanson members must remain in choir for a full year. Auditions for A cappella Choir and Belle Chanson are held in the HHS Choir Room during the spring; times TBA. Typically, judges hear students sing “My Country ‘Tis of Thee” a cappella and another song (provided by the HHS directors) with CD accompaniment. Students also will sight-read an eight-measure melody. An information audition packet will be available to students as auditions draw near. Both songs must be memorized for the audition.